States are often called the laboratories of democracy, and energy policy is prominent among the areas of experimentation. Governments of a number of the largest, most economically diverse states are rolling out new strategies that bring potentially far-reaching implications for the real estate sector. These jurisdictions now face the challenge of bringing their plans to fruition. Some of these ambitious goals for sourcing, alternative energy, efficiency and other areas are likely to have an impact on real estate owners and operators in the near future. In other cases, the results will take considerably longer to emerge. Here is a sampling of five states whose energy-related policy initiatives in 2019 will show the shape of things to come. California continues to provide a national benchmark for energy policy. Several new measures will influence the built environment and the use of power. In a landmark move, the California Energy Commission approved regulations last May that require all new homes to be equipped with rooftop solar panels. The rule extends to all builders obtaining permits after Jan. 1, 2019, including those developing multifamily communities of up to three stories. 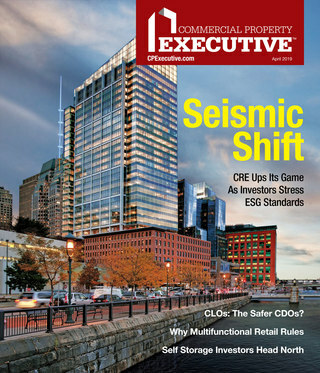 “Other states will see the market develop, and if they are interested in our model, we are certainly willing to discuss our standards,” a CEC spokesperson told CPE in June. A broad spectrum of observers greeted the new regulations favorably, ranging from the National Resources Defense Council and Habitat for Humanity to the Solar Energy Industries Association and Southern California Edison, a major electric utility. 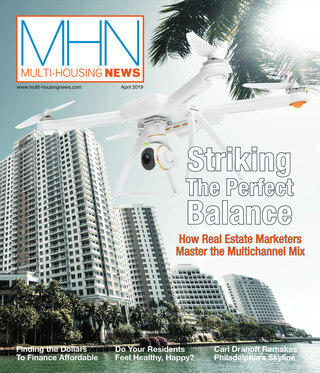 But some multifamily industry stakeholders express concern about the economic impact. A potentially even more far-reaching strategy emerged last fall when the California legislature approved a requirement that will make the state government carbon-neutral by 2045. In a related move, the new package of laws also mandate that utilities supply 100 percent carbon-free energy by that date, and expands incentives to shift properties away from the use of fossil fuels and toward electrification. The Garden State is stepping up its green programs with a package of legislation that establishes what officials tout as one of the nation’s most ambitious standards for renewable energy. By 2020, Class I renewable sources must provide at least 21 percent of New Jersey’s energy. The standard rises to 35 percent in 2025 and 35 percent by 2030. Enacted in May 2018, the bill also puts in place goals and reforms in several other areas. New Jersey’s energy storage capacity is now set at 600 megawatts by 2021, rising to 2,000 megawatts by 2030. Tax credits for offshore wind manufacturing have been restored, and 3,500-megawatt goal for offshore wind generation is now in place. Also on the way is a restructured solar energy market. In a separate action, Gov. Phil Murphy gave state agencies until June 1 to deliver a master plan for 100 percent clean energy by 2050. Energy initiatives cover a variety of fronts. In the middle term, the state’s overarching target is a 40 percent reduction in greenhouse gas emissions by 2030. That is the target year for providing half of the state’s energy needs via renewable energy. A cornerstone of the program is providing incentives to owners, developers and residents to cut consumption by 185 trillion BTUs by 2025, equal to energy consumption by 1.8 million homes. Most recently, the state advanced its energy storage initiatives. In December, the New York State Public Service Commission signed off on a 1,500-megawatt target for storage by 2025, followed by a goal of 3,000 megawatts five years later. Released last October, the state’s 2018 Energy Plan contains a wide variety of recommendations encompassing energy efficiency, renewable power, storage and electric vehicles. Investor-owned utilities are urged to propose 500 megawatts of wind or solar projects annually and to invest $115 million annually in energy efficiency initiatives. Proposes that investor-owned utilities develop renewable procurement options for customers whose needs fall below the current 30 million kilowatt-hour threshold for those purchases. The plan sets a goal of developing 2,000 megawatts of offshore wind power by 2028. Under the plan, Virginia’s government itself would lead the way in multiple areas. State buildings would reduce energy consumption 20 percent by 2022. That year would also be the target for doubling the government’s procurement of renewables to 16 percent. Also on tap: boosting state support for Virginia’s nascent commercial PACE financing. Minnesota is among the growing roster of states that are considering a new approach to rates for regulated utilities. Rather than basing increases primarily on the utility’s capital outlays, the new approach ties electric rates to various aspects of a regulated utility’s performance. The state’s public utilities commission is leading a process that would apply most notably to Xcel Energy, Minnesota’s largest investor-owned utility, which is seeking approval for its next rate structure. Goals of the transition include affordability, reliability, customer engagement, improved environmental performance and aligning electric generation and load, noted Great Plains Institute Project manager Trevor Drake in a blog last November for the e21 Initiative, a five-year-old program that brings together stakeholders in Minnesota’s electric system. Other states that are either established or are considering performance-based ratemaking include Hawaii, which approved the new regulatory structure in April 2018, and Rhode Island, which stipulated a variety of benefits as part of National Grid’s most recent residential rate increase last August.